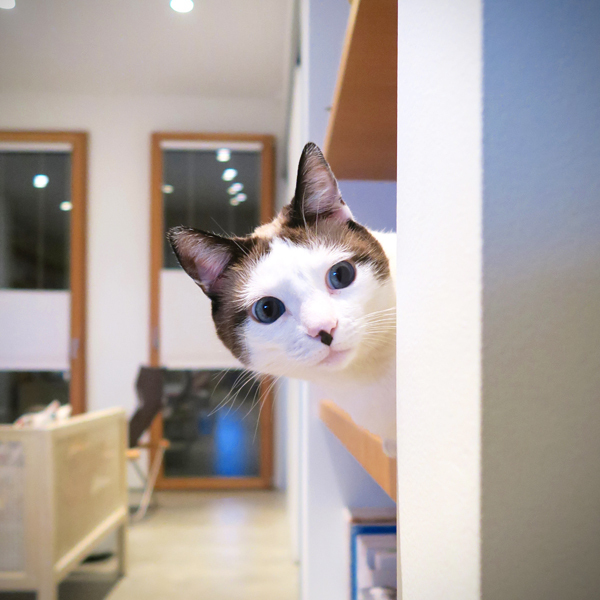 February 22 is cat day in Japan. 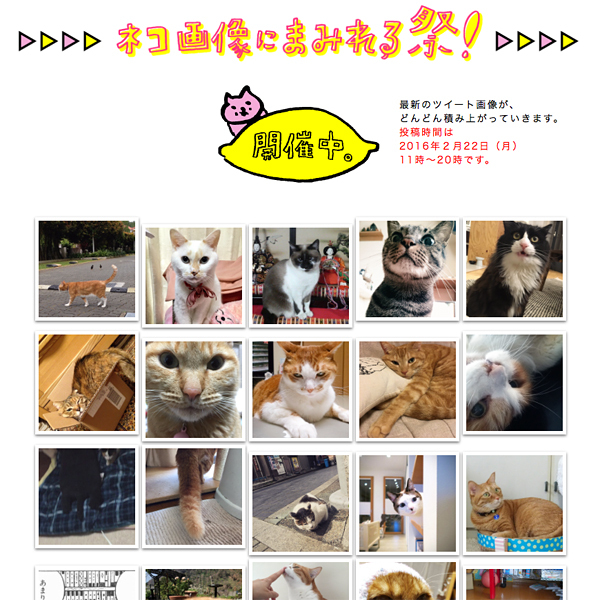 Miyabe joined the HOBONICHI cat event this year too. Miyabe poked her head from behind the wall.